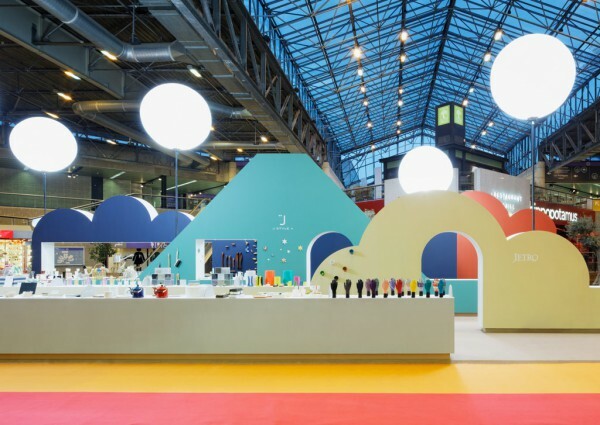 The layout ensures that an extensive and varied line of products can be displayed in a way that's easy to understand by placing the exhibition fixtures in layers. 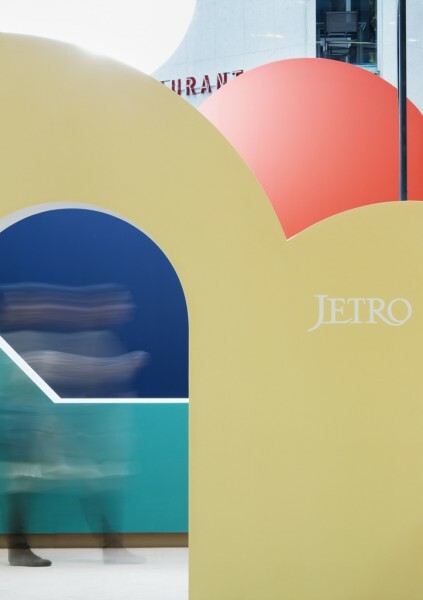 The disposition of the environment, which stands in a separate section, can exhibit frontality from one direction, or, from a different direction, can easily guide visitors all the way inside by giving them the impression of engaging in an alleyway. 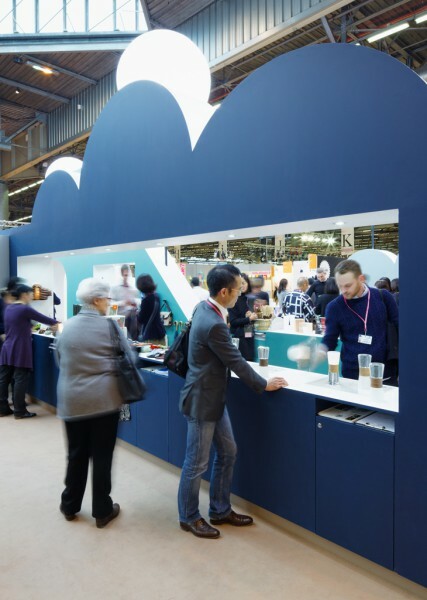 Also, the booth makes use of its height to attract the sight of visitors from afar in the middle of the crowded exhibition floor. 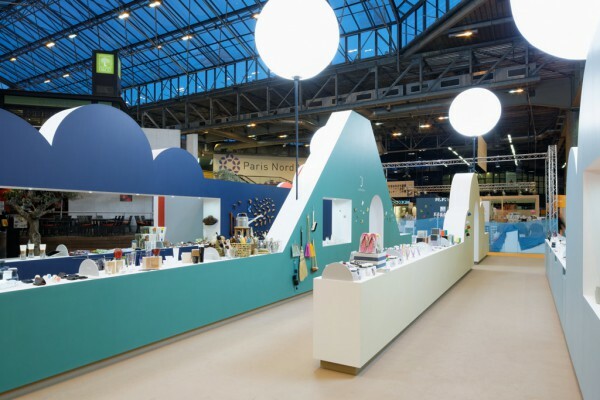 Like a bold interpretation of Japanese borrowed landscaping, the 4-meter-high fixtures create a humorous skyline with its lighting in the shape of the sun and its mountains, clouds and trees which become the expo’s landmark. 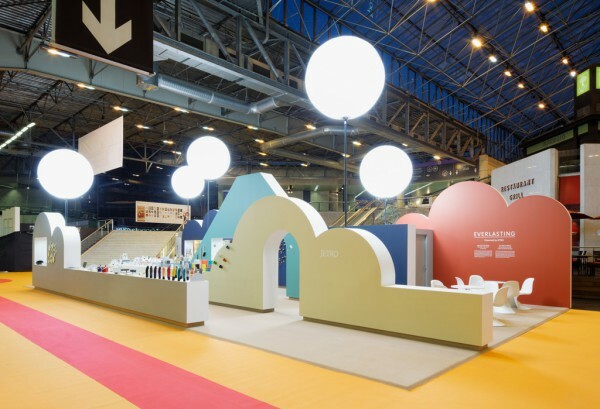 While the booth carries a presence in the distance, the color of the fixtures and its shape itself become its signature, making it possible to recognize the booth intuitively. 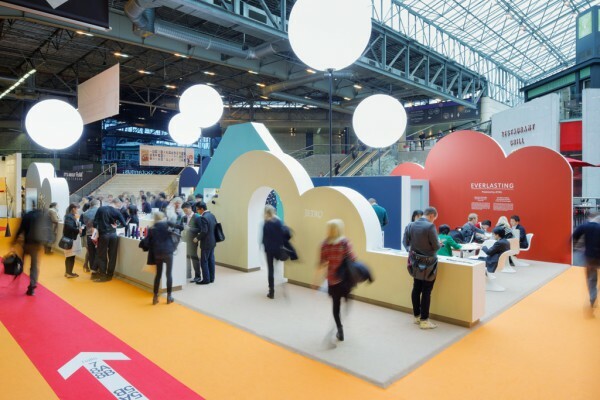 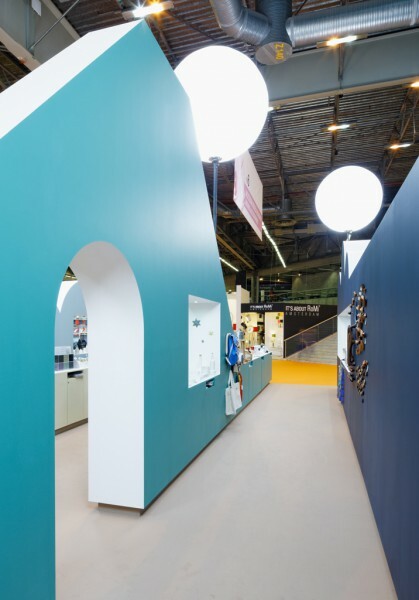 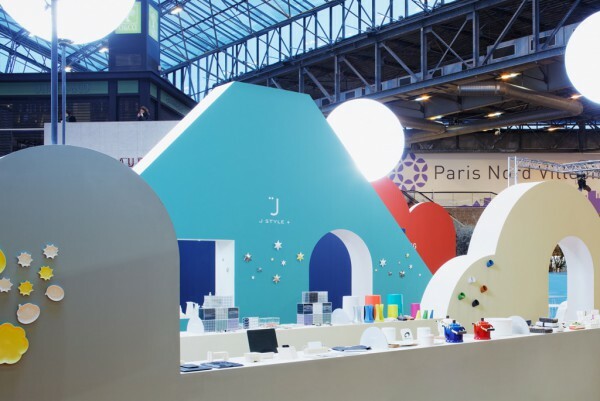 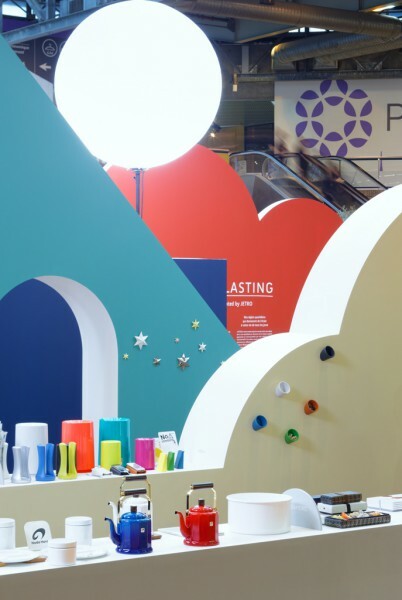 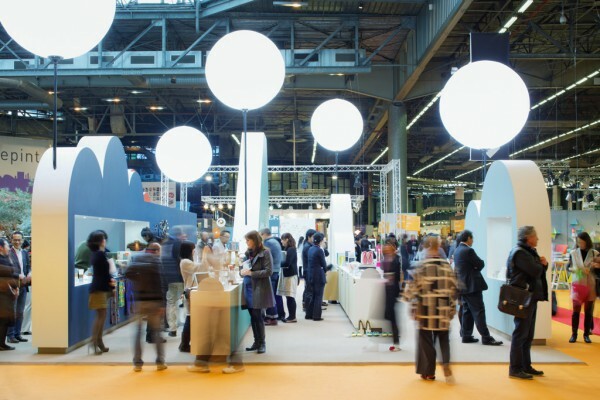 Since miscellaneous goods are the center of the exhibition, the booth plays two roles while bringing a sense of unity to the whole, as the wall surfaces with large fixtures become, at closer distance, a background on which various products can shine. 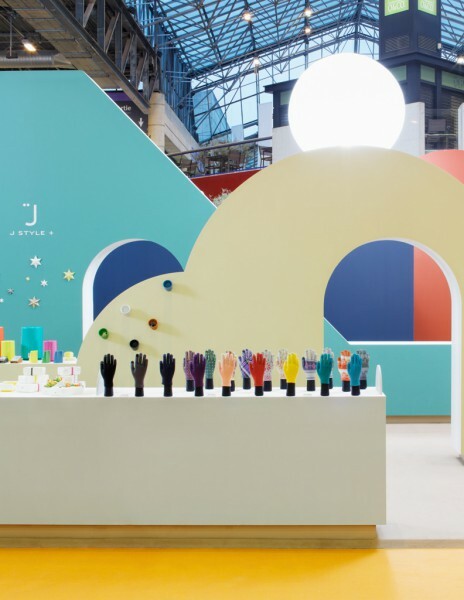 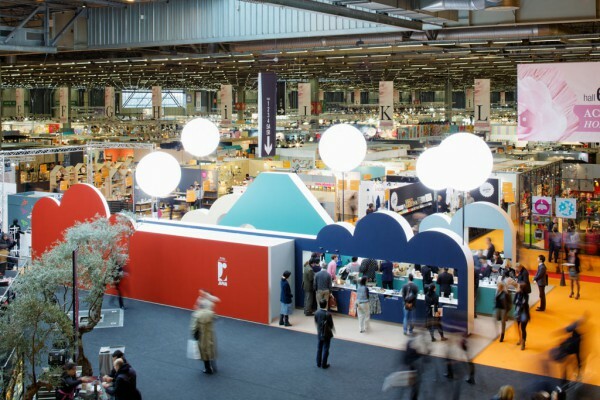 The layered fixtures are like a stage set, creating a space where visitors can discover products, as if on a treasure hunt, by inviting them to wander evermore further inside the booth while changing their perception depending on the standpoint.